“I kind of lost my mind doing [Les Mis] and it hadn’t come back yet." A quiet afternoon, a darkening sky. A comfortable seat by a window. In the background, Das Liede von der Erde, by Gustav Mahler. Basically, bad Broadway can still be good Broadway, because it makes for memories. That is the most disastrous part of Dames at Sea: It is without memorable moments. 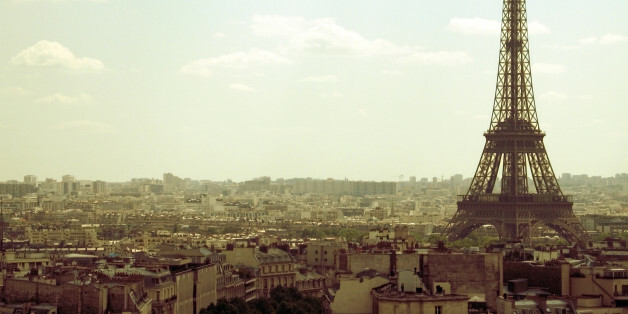 I have lived some of the greatest days of my life in Paris. I have loved there, had some of the most profound love story moments of my life there. That is Paris, for me, and for many others. So hate, you cannot have Paris. Helen Lawrence, a theater-meets-cinema multimedia production, part of BAM's Next Wave Festival, is not to be missed. Running through Oct. 17, the clever, ambitious effort, the brainchild of Canadian Stage, is hypnotic to watch. Montego Glover Discovers a New, "Irresistible," Fantine in Broadway's "Les Misérables"
Patti LuPone, Andrea McArdle, Anne Hathaway, Melba Moore--since it first premiered in London 30 years ago, Boublil and Schönberg's mega-musical, Les Misérables, has played more than 40 countries, and hundreds of actors have brought their own take to its iconic characters, like the destitute Fantine. Riedel, the polarizing theatrical gossip columnist of the New York Post, knows how to dig into provocative stories. Here he undertakes not a simple scandal, but a century's worth of power struggles that have undermined and -- ultimately -- saved Broadway. Turning a plain old school auditorium into a "Castle on a Cloud." Before Idina Menzel, Kristin Chenoweth and Kelli O'Hara, Judy Kuhn was the voice exciting audiences on Broadway and beyond. The 56-year-old star originated the roles of Cosette and Florence in Les Miserables and Chess. The Theory of Everything in the end is about everything. About the cosmos. About the existence of God. What can be scientifically proven and what can not. Disabilities, which we all have in a myriad of different ways, and what we do with them. It's a love story. Two things happened in theater yesterday that had me thinking -- The New York Times reported Sting was going into The Last Ship, which he wrote the score for, and The Country House closed. No question mark here but just a great big exclamation point to the North Shore Music Theater, for continuing to provide theater goers with exemplary and top drawer entertainment, year round.